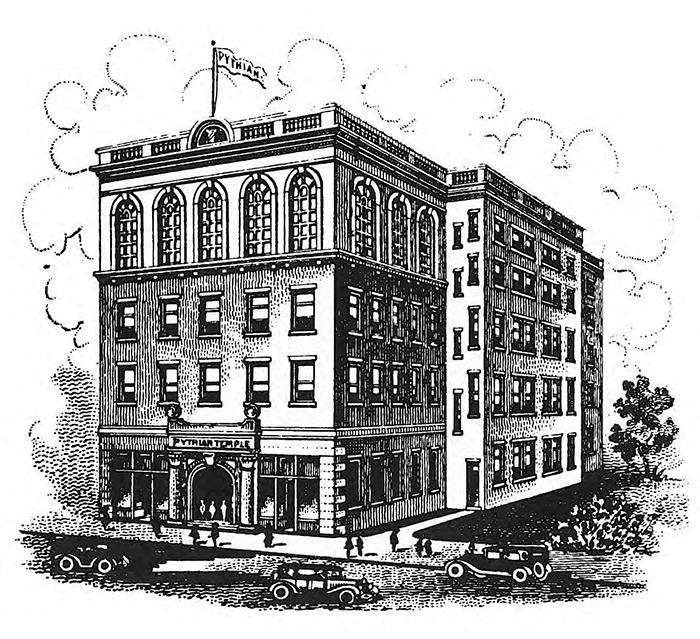 Many know the five-story building at the corner of Elm Street and Good-Latimer as the Union Bankers building due to the name attached to the façade. However, the history and importance of the building goes far beyond Union Bankers. 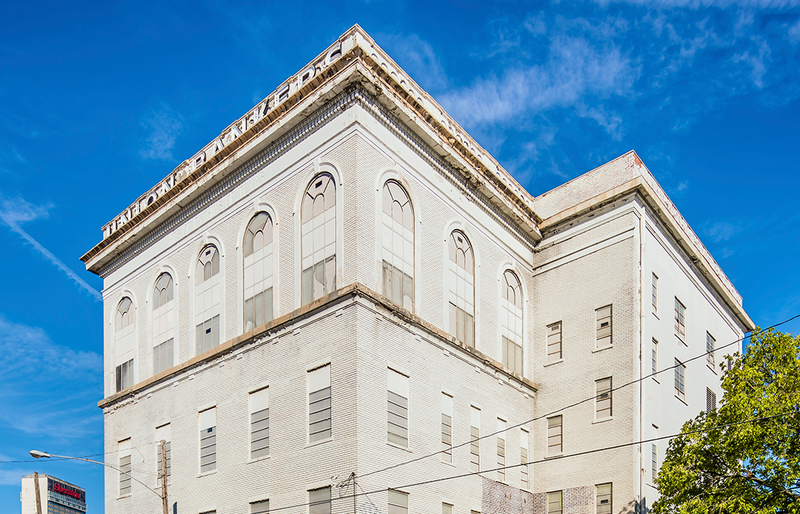 The Beaux Arts style building, with classical Greek and Roman ornamental forms, was completed in 1916 for the Grand Lodge of the Colored Knights of Pythias and was known as the “Knights of Pythias Building” or “Pythian Temple” in its day. It was designed by the first African-American architect in Texas, William Sidney Pittman. Pittman was born in Alabama in 1875 and graduated from the Tuskegee Institute in 1897 after completing studies in architectural drawing and structural work. Booker T. Washington recognized Pittman’s talents while at Tuskegee and helped him financially to attend Drexel Institute in Philadelphia where he earned a diploma in architectural drawing in 1900. After that, Pittman returned to Tuskegee where he taught architectural drawing and began an architectural practice. In 1907, he married Washington’s daughter Portia, and in 1912 they moved to Dallas for Pittman to pursue work in Texas. Established in 1884-85, the Grand Lodge of the Colored Knights of Pythias was an African-American fraternal organization which provided social activities, life insurance, and death benefits for the burial of its members. It grew rapidly, becoming the largest African-American fraternal organization in the state. In 1912, a resolution authorizing the construction of a Pythian Temple in Dallas (at a cost of $100,000) was approved by the Grand Lodge. 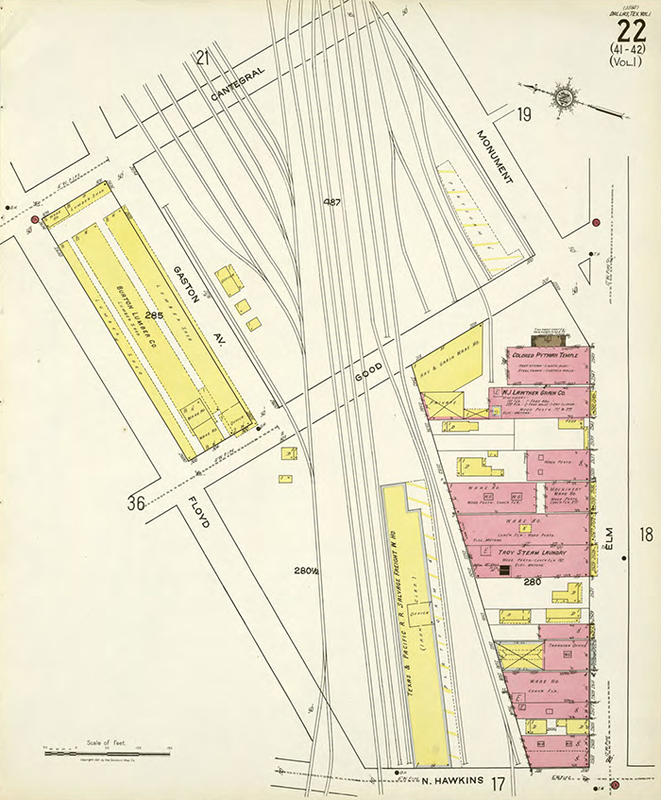 The land purchased for the temple was located at the intersection of Elm and Good streets in Deep Ellum, just south of the Texas and Pacific Rail line. 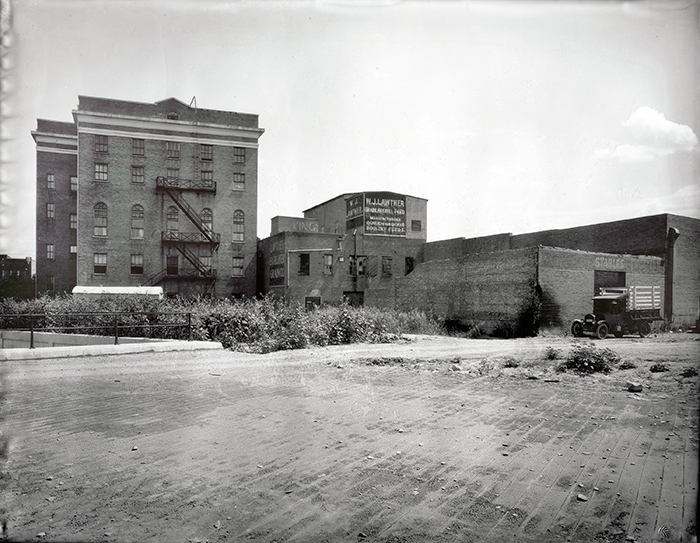 Deep Ellum was originally settled by former slaves as a “Freedmen’s Town” (with houses and a commercial center), and it grew to become an important center of the African-American community where they could freely shop, dine, and enjoy music in the many clubs. On July 13, 1916, the building was formally dedicated and quickly became a landmark for the African-American community. The classically inspired building was designed with five floors. 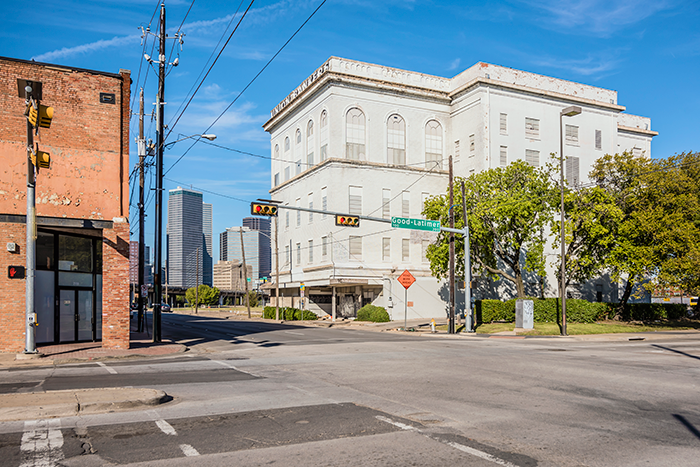 The lower three originally included retail and office space for professionals such as attorneys, insurance agents, realtors, and doctors (including the first African-American surgeon and the first African-American dentist in Texas). The top two housed the 25-foot-tall auditorium space used for lodge rituals, social events, conferences, and political gatherings. The Knights were dealt a harsh blow during the Great Depression as most members were not able to pay dues, and many of the small insurance contract payments lapsed due to non-payment. The building was sold in 1944 for only $6,500 after legal woes mounted from non-payment of policies for burial expenses. The Union Bankers Insurance Company acquired the building in 1959 and immediately converted it to office space, gutting the original interiors and dividing the auditorium into two floors. On the exterior, the original storefront was remodeled into its current configuration. Most of the original wood windows were replaced with metal windows and the exterior was painted. Due to the significance of the building architecturally and to the African-American community, it was designated a City of Dallas Landmark in 1989. Union Bankers moved out of the building in the mid-1990s and the property was sold to a developer. In 1998, it was sold to Westdale. 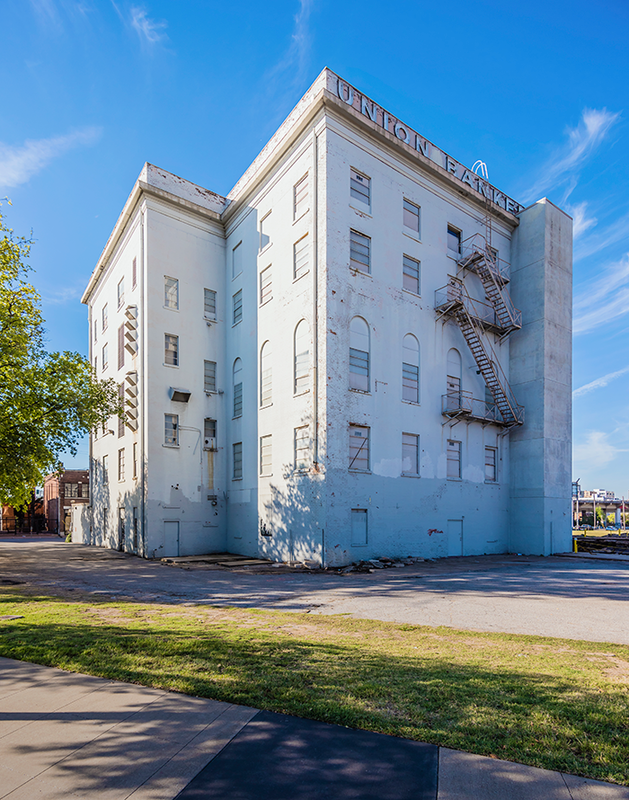 They are now finalizing plans to incorporate the building into a mixed-use development and to restore it as a centerpiece for a boutique hotel.